Are you looking for the right tools to start and grow your business online? If so, then you’re in the right place. 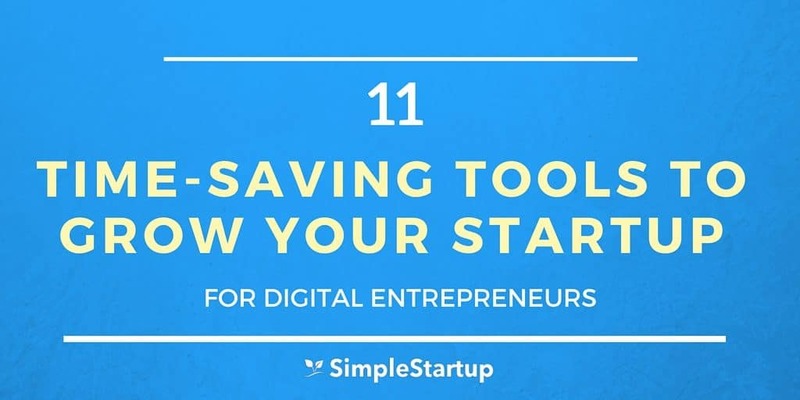 I’ve compiled a list of the top time-saving tools that we use at Simple Startup to perform keyword and market research, build our email list, optimize for conversions, schedule social media posts and more. Why reinvent the wheel when you can use the same tools to make it easier to build your business? There are many other tools you can use to grow your startup but I have found that these 11 tools will help you grow your business even faster — even if you’re on a budget. 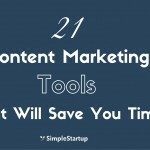 Many of these tools are free but still powerful. The premium tools listed are the more cost effective solutions available online. The Google Keyword Planner is one of the best tools you can use for keyword and market research. By using the Keyword Planner, you can validate your ideas by finding keywords that get adequate search volume. 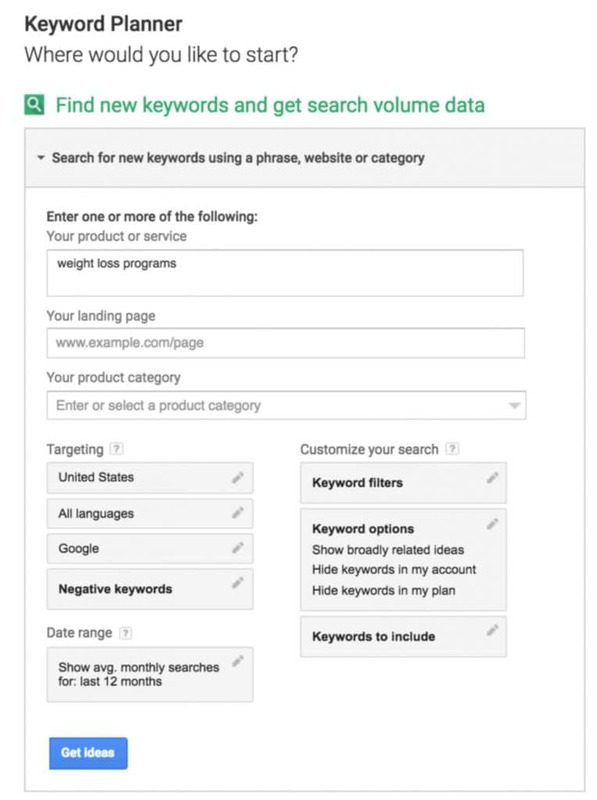 To find keyword ideas, you simply need to login to your Google Adwords account (if you don’t have one created, signup for free so you can access this tool), and then go to tools => keyword planner, and start entering your search terms. For example, if you’re in the weight loss niche, enter the primary keywords in the search box (i.e weight loss programs, diet plans, etc). Once you’ve entered the keywords, click on “get ideas”, and you’ll get a list of the top related keywords. Make a list of the top keywords for your categories and blog posts. Then you can use these keywords to optimize your blog posts and content so that you can start ranking for them in search. One of the best ways to find out if your niche or product is viable is to survey your visitors or subscribers. By surveying your list, you can ask deeper questions to discover any pain points, challenges and frustrations your audience might have. This in turn will give you much greater insight into what your prospects actually want vs. what you think they want. I use a tool called Survey Gizmo to survey my audience periodically. 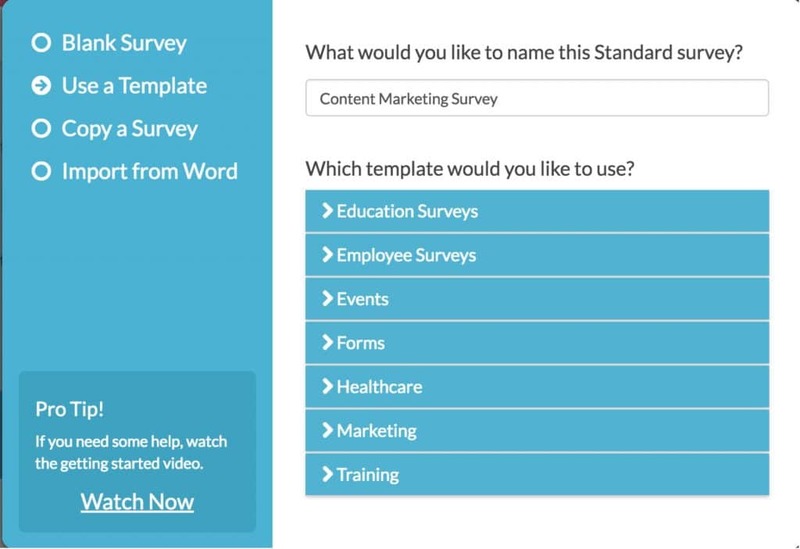 You can create a survey within 5-10 minutes using one of their templates, and then sharing the link with your subscribers. 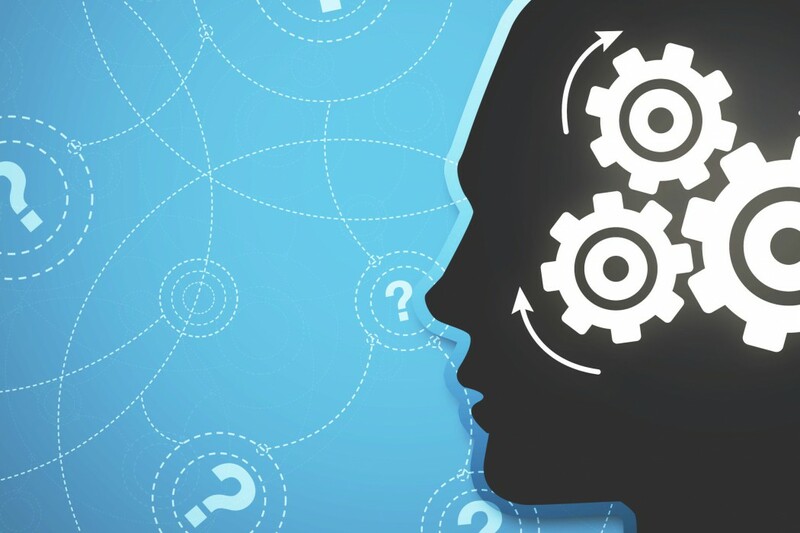 Once you’ve received some responses you can analyze the data to help you create content and offers that are unique to your prospect’s problems and challenges. Building your email list is essential to building your business online. If you don’t build an email list, then you are essentially relying on traffic you don’t own or control (i.e SEO, social media, etc.) This can lead to problems in the future should the traffic source you’re relying on changes it’s rules causing you to lose traffic overnight. The email marketing software that I use for my businesses is Active Campaign. I’ve tried many other email marketing software such as Aweber, Mailchimp, and Getresponse, but I’ve found Active Campaign the most effective for the price. Active Campaign makes it easy to segment your list so that you can send relevant offers related the subscriber’s interest. 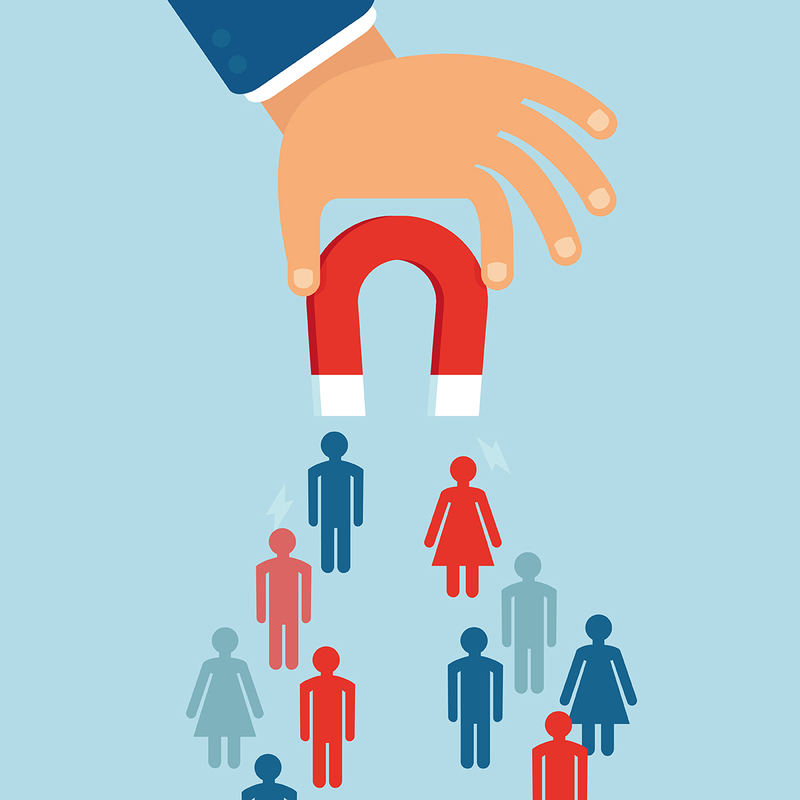 This will lead to overall higher open rates, click through rates, and conversion rates. 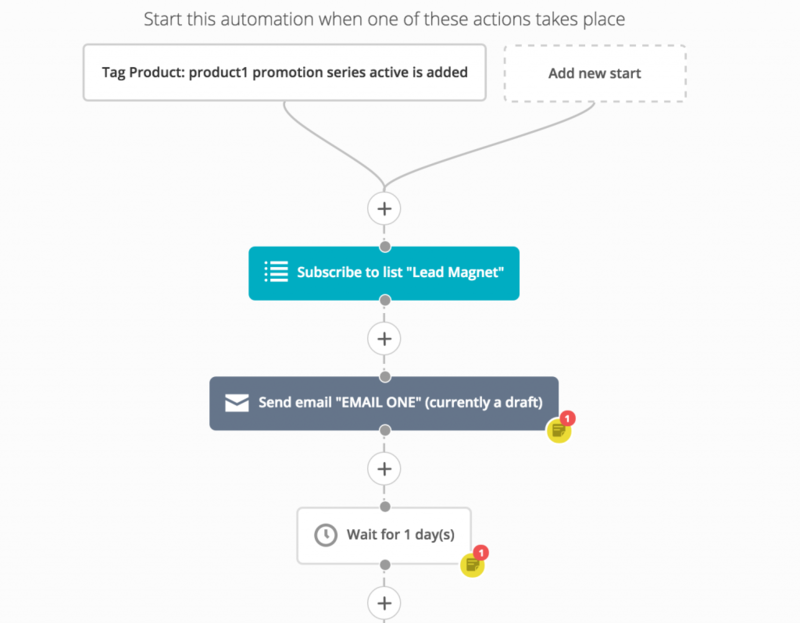 You can also use automation rules, and goals to build out your autoresponder sequences in no time. For $9/month, you can store up to 500 contacts. For $17/month, you can get 1000 contacts. You can get a 14-day free trial for Active Campaign by signing up here. Do you want to build your email list fast? If so, then Thrive Leads makes it easy to build your email list quickly and on autopilot. There are many lead generation tools out there — and I’ve tried most of them — but so far I haven’t found anything better than Thrive Leads. With Thrive, you can easily create light boxes, content upgrades, and widget from a single dashboard. To use Thrive leads, you will need to select an optin form type (i.e lightbox, post footer, etc.) and then select a template for it. Once you’ve customized the template, then you’ll be able to select which pages and posts you want it show up on your blog (similar to what we’ve done on Simple Startup). Peter Drucker once said that if you can’t measure it, you can’t improve it. Therefore, if you don’t focus on optimizing and tracking your key business and marketing metrics, then you won’t be able to grow your business — at least not in a profitable and cost effective way. The industry standard tool for measuring your site metrics is Google Analytics. I use Google Analytics for all of my websites and my client’s websites to ensure that we continue to improve our businesses. If you want to get started using Google Analytics, add the analytics code to every page of your website (usually placed before the </head> section of the page). Once you’ve integrated Google Analytics then you can start tracking your traffic, and leads within the Google Analytics dashboard. If you’re an established business with a good amount of monthly traffic to your website and landing pages, then you can use a tool like Visual Website Optimizer to further improve your conversion rates. 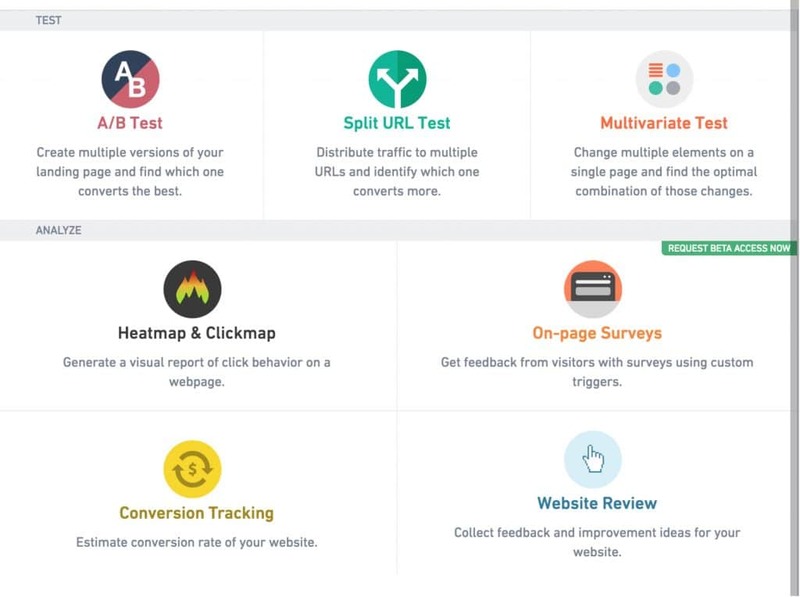 VWO allows you to perform A/B tests, split URL tests, multivariate tests, analyze heatmaps, and conversion tracking. The benefit of using Visual Website Optimizer is that you’ll be able to quickly determine (with confidence) which URL or landing page variation is the best version. You can continually improve your conversion rates by testing different elements (i.e headline, call to action buttons, etc.). You can sign up for a 30-day free trial to test the waters, to see if the software is right for you. Pricing:14-day free trial, $99/month thereafter for PRO. Free plan available. 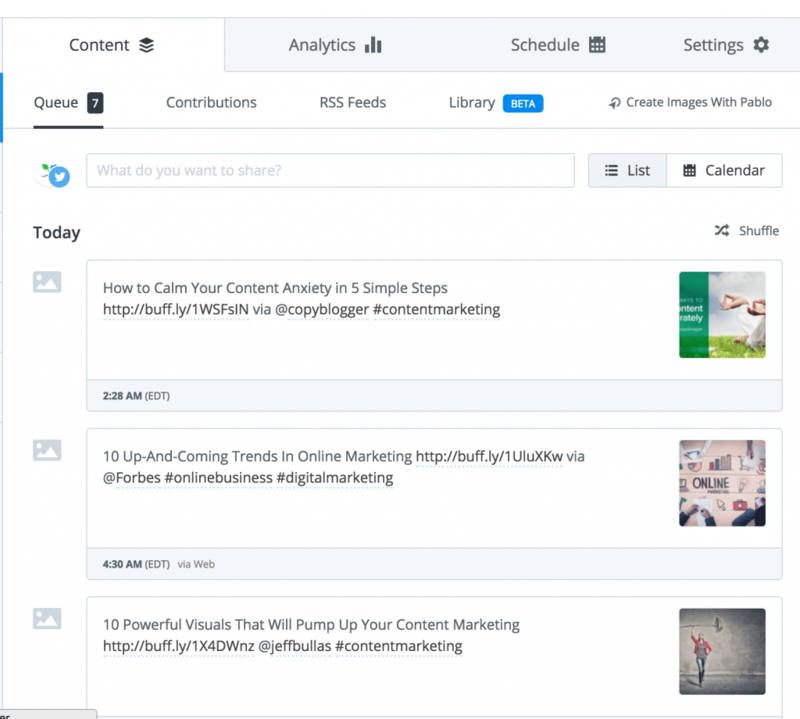 Buzzsumo is a great content research tool that will help you find ideas for blog posts and articles. Instead of guessing and possibly wasting hours writing your blog posts if it doesn’t perform well, use Buzzsumo to quickly find which articles and blog posts are already performing well. If you do a search in Buzzsumo for your target keyword (i.e content marketing), you can find the top most shared content within the last 24 hours, 1 week, 6 months, or past year. This is very useful since you can piggyback of other’s success by writing similar content and titles. This will give you a major advantage because you no longer have to guess if your article will perform well across social media. Creating compelling visuals is essential to getting more traffic and leads. Canva is an essential tool for entrepreneurs because you can use it to create stunning visuals for your social media posts, leads magnets, blog posts, ebooks, infographics and more. I use it to create visuals for my blog, ad copy, quotes (for social media), social media posts, guides, and presentations. The good thing about using Canva is that you don’t have to be a graphic designer or tech savvy to create beautiful graphics. There are many pre-designed templates to choose from. When you login to Canva, you’ll have access to over 50 design types to help you quickly create beautiful graphics in no time. 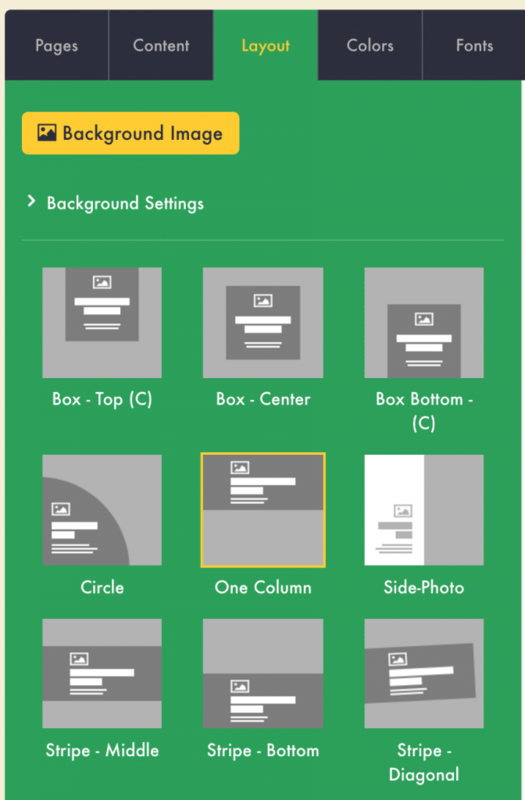 Simply choose a design template, and then customize the text and images. Canva has many free images and illustrations you can choose from, but there’s others that cost $1 USD. So if you choose to use Canva you have the option to create a great graphic for free or for a very low cost. Price: Free, or starting at $9/month for capped plan. Beacon is an essential tool for startups because it allows you to quickly turn you blog posts and pages into lead magnets. The advantage of using Beacon to create your lead magnets is that you can create a fully customizable ebook within a few minutes. I’ve already written several posts on the importance of using lead magnets and how to create them, so if you’re still not using lead magnets to build your email list, then I would highly recommend it. To create a new ebook/guide that you can offer as a lead magnet, you’ll need to select the blog posts that you want to turn into an ebook and then click on create content upgrade. Once you’ve created the ebook, then you can start customizing the cover, layout, font and the contents of the ebook itself. Buffer is a social media scheduling tool that will make it easy for you to post to Twitter, Facebook, Pinterest, Google+ and now Instagram. If you want to quickly grow your audience on social media then using a tool like Buffer is invaluable. To schedule your social media posts, you can use the Buffer Chrome app to add it to the queue or you can use add it within the Buffer dashboard. Have you ever wanted to connect two services together but the integration wasn’t supported? That’s where Zapier comes in. By using Zapier you can easily connect services together even if they weren’t supported. For example, if you want the leads generated through your Wufoo form to be added automatically to your Aweber list, you can do that by creating a Zap in Zapier. This makes it exceptionally simple to connect services and do what wasn’t previously possible.